Your high-performing board can deliver even more value when it knows itself a little better. The fastest route to more impact? Solid governance processes that reduce friction and free your board to focus on issues that matter. Get started with our Board Performance Assessment. By measuring board effectiveness around topics like communication, information sharing, planning, and accountability, we help your board identify its functional and operational strengths and challenges, improve board dynamics, and increase its ability to make a difference. 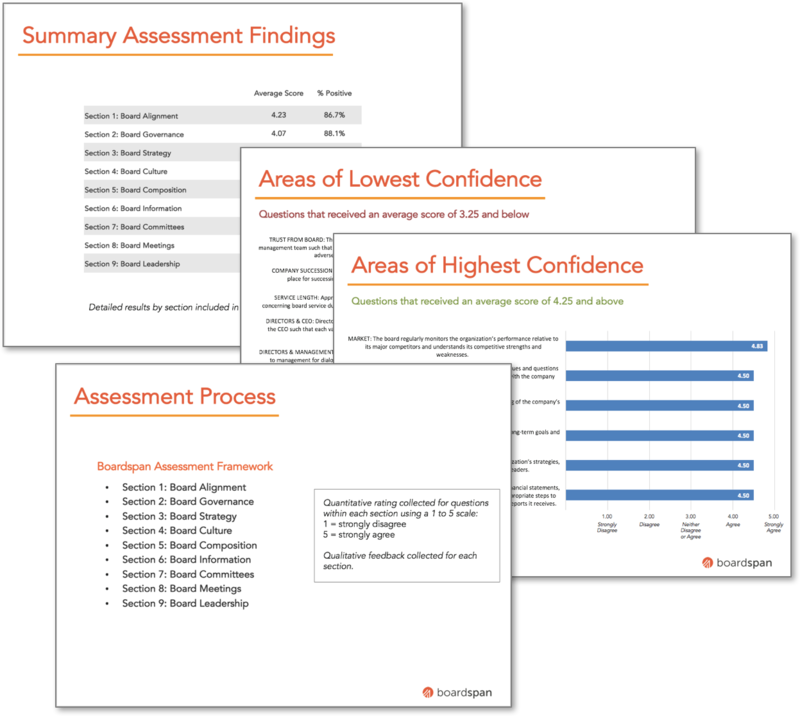 Our online Board Performance Assessment is easy-to-use, secure, and confidential. It addresses NYSE and NASDAQ requirements as well as the needs of private company boards. 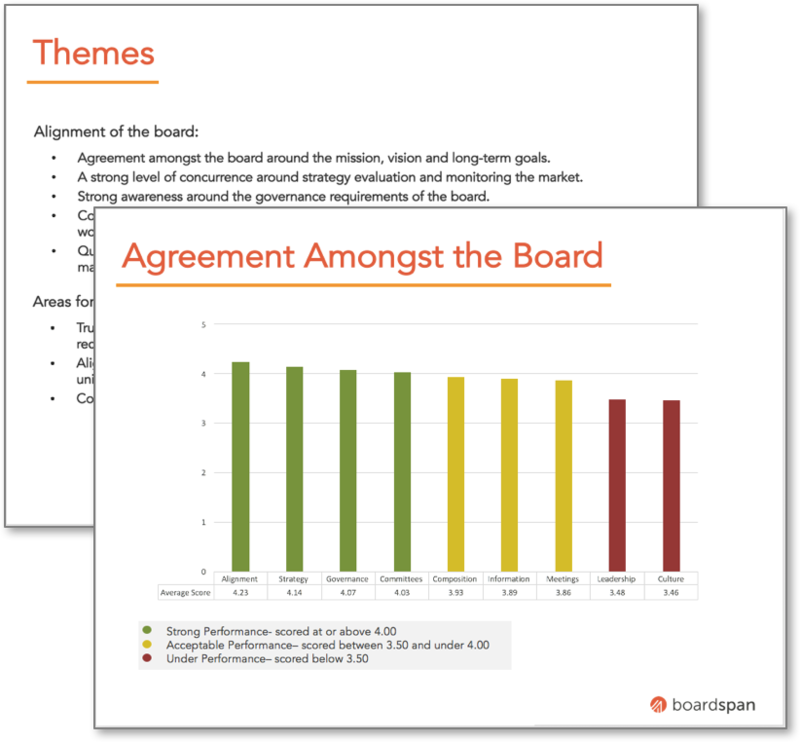 Our customizable model solicits each board member’s feedback, then aggregates responses into an interactive report that emphasizes common themes, while protecting the confidentiality of individual board members. This is the gold-standard of assessment tools. If you're ready for a higher functioning board, start here!